Shane shot a movie and he’s doing a pilot now, but I’ve read a lot of his script and I think it’s genius. I think it’s genius and I think it’s entertaining, and what it did is recreate a famous franchise in a different, interesting way; looking at it from a different light. He’s just an amazing writer-director. He’s got a way of looking at this that makes you excited again. I love this franchise. It was the first movie I ever did. I remember in being in the jungle with Arnold [Schwarzenegger] as a 28-year-old and going, ‘This is a fun business!’…Shane’s amazing. He’s an amazing storyteller. Shane’s got a writing partner, Fred Dekker. They’ve been doing it together and Fred’s great. The two of them together, they’ve been in the business for a long time, but the writing is so fresh, the perspective is so fresh. I’m telling you you’re going to get something you don’t expect and you’re going to say, ‘This is the most entertaining way to reinvent a franchise.’ I mean he’s the guy who wrote Iron Man 3.I'm not sure if Iron Man 3 is the best example to use. A lot of Marvel fans didn't like how that movie turned out. But, he did work on other films like the Lethal Weapon franchise, Kiss Kiss Bang Bang, and of course, Monster Squad. 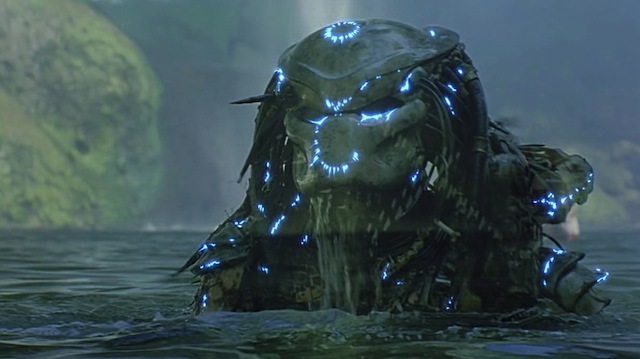 I'm looking forward to seeing what he is planning for Predator. Obviously, John McTiernan’s 1987 Arnold Schwarzenegger is one of my favorite movies of all time. As such, I consider a kind of hallowed ground. Still, as skeptical as I am about reboots and rehashes, Shane Black’s Predator is starting to sound like something I can get behind.